We are proud to announce our latest t-shirt design is now available for purchase. 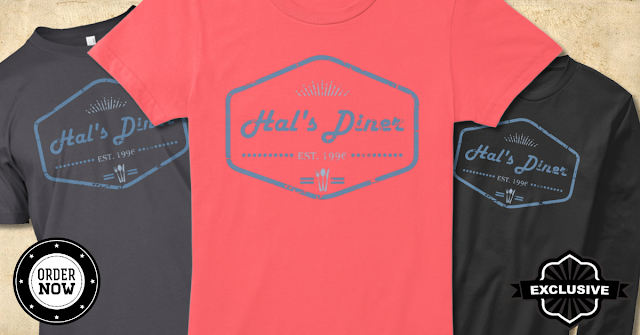 It is our first Adventures in Odyssey themed design and it highlights Hal's Diner. This small eatery has appeared in over a dozen episodes over the years has been visited by many of the town's residents' such as Wooton, Penny, Barrett, and Connie. Hal's Diner was first mentioned in episode 369 "It's A Wrap!" in 1996 and has been a mainstay of the series ever since. 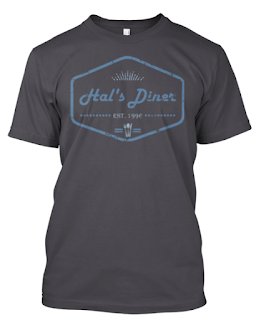 Our exclusive, original t-shirt design has a classic, retro style with a distressed look one might expect from a vintage small town diner. The design is available in many clothing options for gals and guys. It is also available in a wide range of colors and sizes. Once again we are offering the shirt as an exclusive Teespring campaign which means that it's only available for a limited time so don't wait! Order your shirt today and help support ATC while at the same time sporting your love for Adventures in Odyssey!